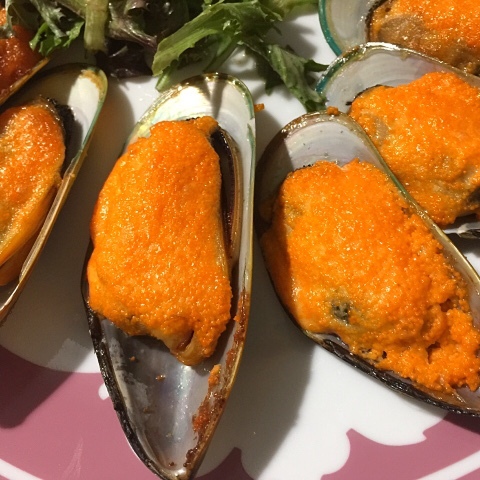 Air-fried Mussels with Creamy Ebiko Roe Recipe to impress! 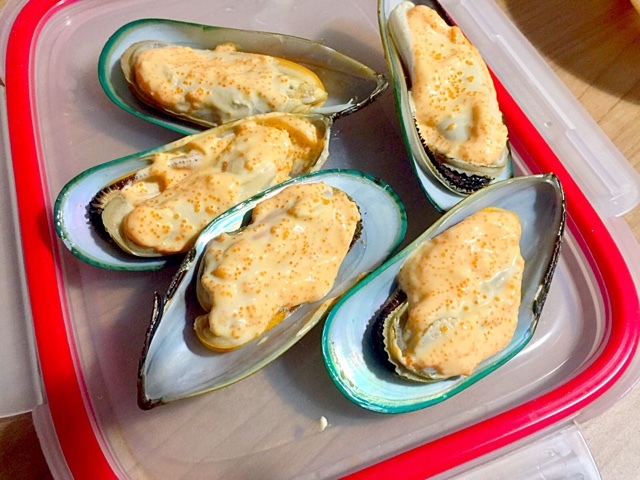 After work, I went to my sister's place and she showed me how to air-fry mussels with Ebiko Roe sauce. The taste was so similar to the Mentai sauce that I have tasted in Japanese restaurant. Mentai means cod roe. 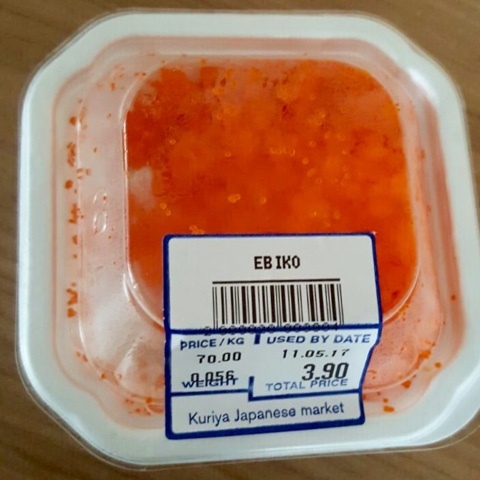 Ebiko means shrimp roe. I tried out the second batch. It was so easy and delicious that I could not wait to share with you! It is perfect for hosting dinners. 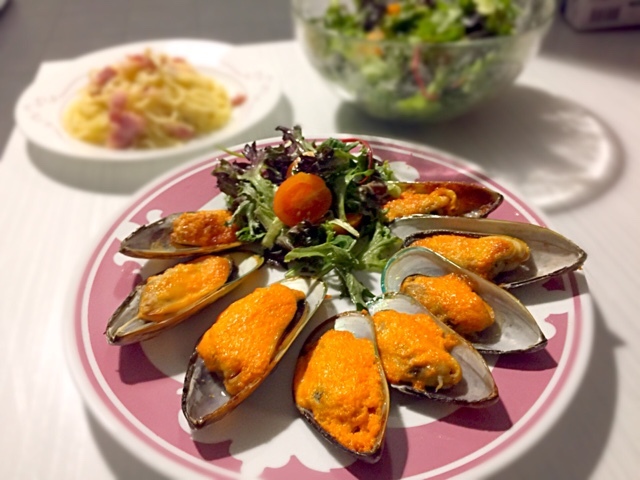 I believe it is due to the specific brands of ingredients that the "Mentai" Mussels tasted very yummy. 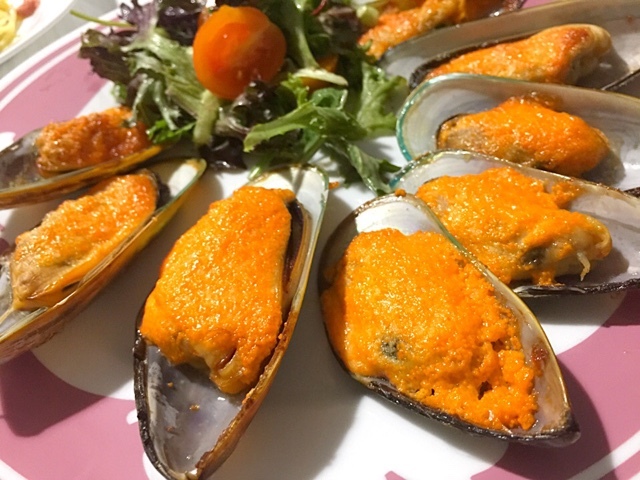 The mussels were very fresh and the mixture of Kewpie Mayo and Ebiko Roe was finger-licking good! 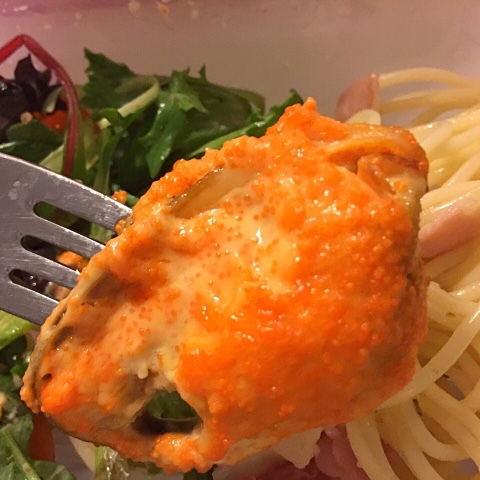 All I did was to thaw the mussels and mix the Ebiko Roe and Kewpie Mayo together in a bowl until it looked like the one in the picture. Next, I spread the "Mentai" mix evenly onto the mussels. 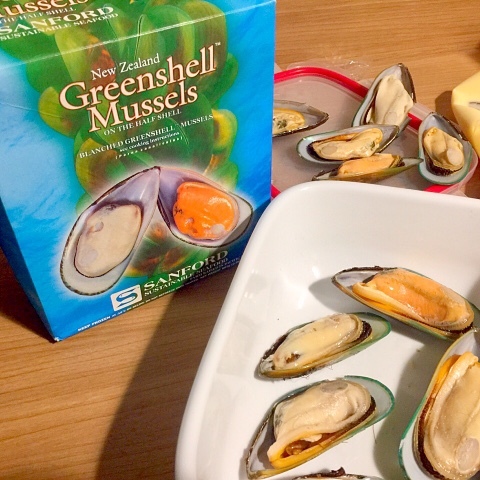 It would taste even better if I spread more on top of the mussels. The best part I like about this recipe is that the cooking time is very short! 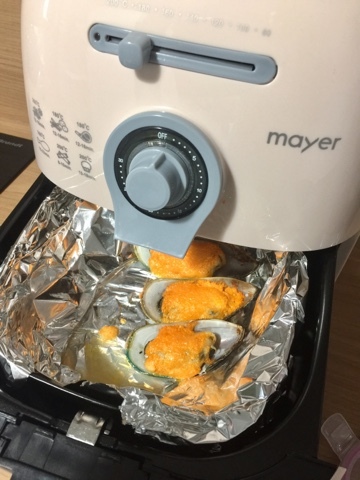 All I needed to do was to place the mussels in the air-fryer and air-fried them for 10 minutes at 180 degrees. Once ready, the mussels turned golden. Pretty! 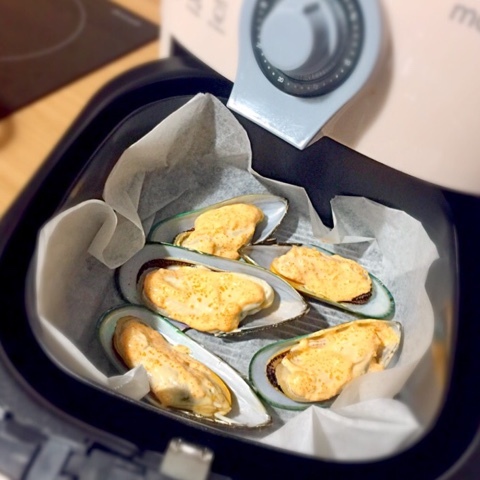 Delicious mussels ready to serve! The mussels looked very appealing and ready to impress. I plated them around some fresh salad to add contrast. Mussels taste best when they are hot. Be sure to serve your guests soon after cooking. Otherwise, you can heat them up in a toaster oven for 1 minute. It will not affect the taste and texture. 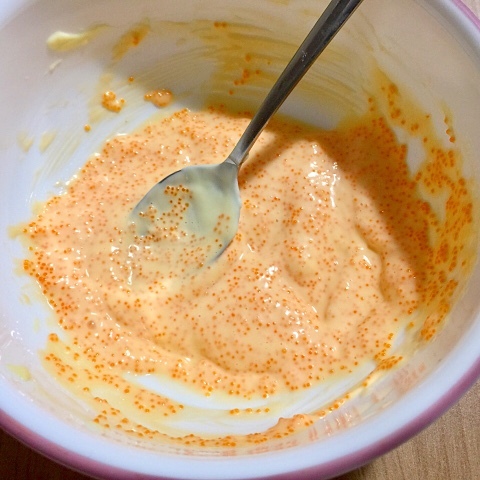 Look at the creamy roe sauce in the picture. 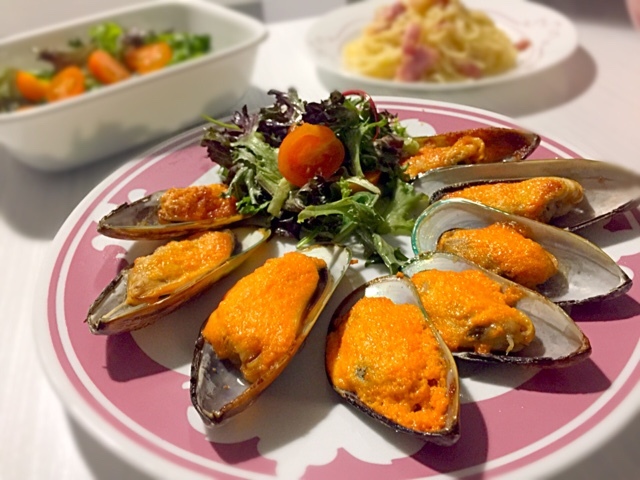 It really tasted creamy, with the roe providing a crunchy texture to the fresh mussels. I am very impressed with my sister's recipe! I see much potential in this recipe. I can even use the sauce with scallops and even pasta!